Whether you joined us for the sugar fast, or not, I hope this devotional (from the 40 Day Sugar Fast), on Matthew 23, will inspire you to live out an authentic faith, not a hypocritical one. 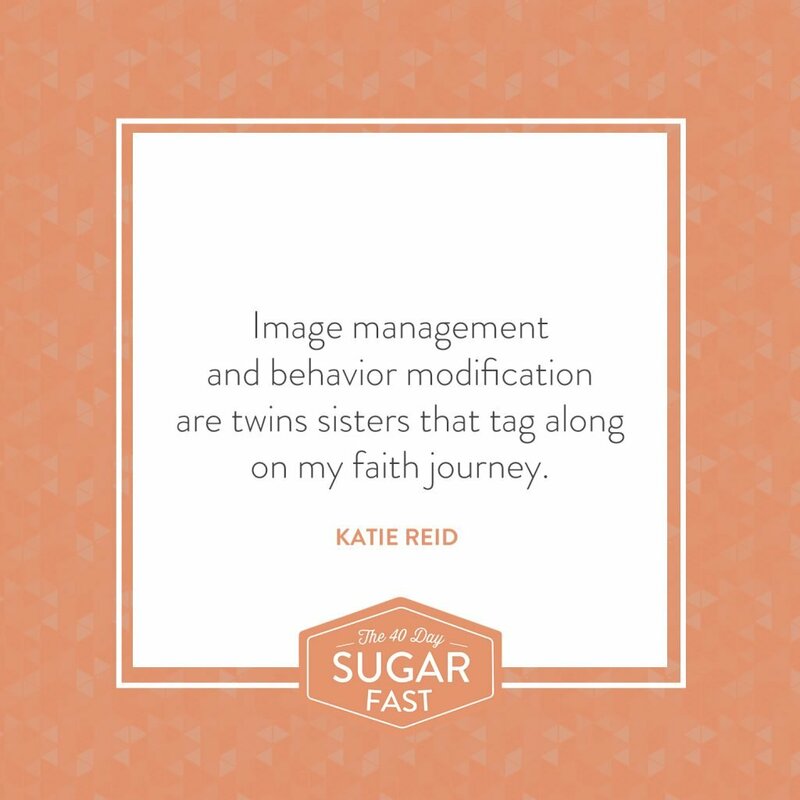 Image management and behavior modification are twins sisters that tag along on my faith journey. Actually, they often lead the way as I race to and fro, trying to keep up appearances. I desperately want to look good and put together (physically and spiritually) but my heart isn’t always as tidy and polished as I appear. I certainly didn’t act very Christlike toward this person, as I tried to connect with Christ. And I wonder how often our grand attempts be more holy, actually showcase a disconnect between our outward and inward life. The Holy Spirit reveals our disconnected places—the gap between our belief and behavior—not to embarrass us but to help us identify areas that need growth. He does so out of love, not condemnation, so that we are spurred on, to change—for God’s glory and our good. Are you spending your time and energy polishing the outside, while neglecting the inside? This is not an accusation but an invitation to move toward spiritual health and wholeness. We are not left alone to figure things out nor expected to muster up enough resolve to change on our own strength. Jesus has given us the Holy Spirit, an Advocate and Helper, to remind us of truth and lead us in what is true, noble, right, pure, lovely, admirable, excellent, and praiseworthy (see Philippians 4:8). Even on our worst days, we are completely loved by Jesus. Even when the disconnect between what we we believe and how we live is vast, God’s loves us so much, that He helps us see as He does. He loves us as we are yet He convicts us of sin and leads us in what is best for us and what will bring Him honor. Thank You that You love us more than we can fathom. Thank You that You are patient and compassionate toward us. Forgive us for the times when we care more about status than surrender, more about being liked than being obedient, more about comforts than commitments. Thank You that Your grace is more than sufficient for our weaknesses. Please bridge the gap between our outward behavior and our inward belief. And may we delight in You, the One who formed our bodies and sustains our souls. Amen.